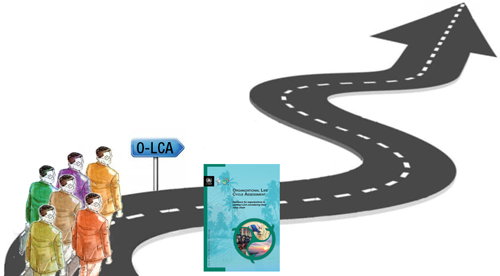 Over the last months, eight frontrunner organizations have been testing the „Guidance on Organizational Life Cycle Assessment“, developed in the first phase of the flagship activity „LCA of Organizations“. All road-testers completed the scoping phase and documented it in what we call „Report I: The scoping phase and first outline of the assessment“. In a following step, data was collected and an impact assessment was performed. These steps, together with the interpretation and critical review, are documented in the final Organizational Life Cycle Assessment study of each road-tester. We are happy that the first completed O-LCA studies already reached the flagship secretariat and are very close to being validated. As a support for the road-testers, the flagship secretariat organized an initial O-LCA on-line training session and five follow-up meetings. After a targeted training on challenging methodological aspects such as data collection or impact assessment methodologies, road-testers have the opportunity to present the state of their study and share their experience. This open floor format represents a consistent gain for the practitioners’ community and will be pursued also in the future. They contribute to a broader coverage of sectors, countries and profiles represented in the road-testing group. We appreciate the open, cooperative and productive attitude in the O-LCA road-testers community and thank the organizations and practitioners for their enthusiastic work and pioneering spirit in this field. We are also grateful for the large and continued interest in the flagship project publication that has been already downloaded more than 10,000 times.